Providing service/adjustment/adaptation/bespoke modification of legacy lenses for use on modern camera sensors and mounts. Based in London, UK. Delivering personalised lens service and sales at competitive rates, serving clients local/domestic and international. Please contact ekoecamera[at]gmail.com with details of your lens model/mount, intended camera, etc. BlackMagic Pocket Cinema Camera with ekoecamera modified and m4/3 adapted Canon TV-16 25mm f0.78 and Fujinon-TV 25mm f0.85 from 2013... First known fully-functional adaptations of these ultra low-light lenses to m4/3 mount, by e.koehler. 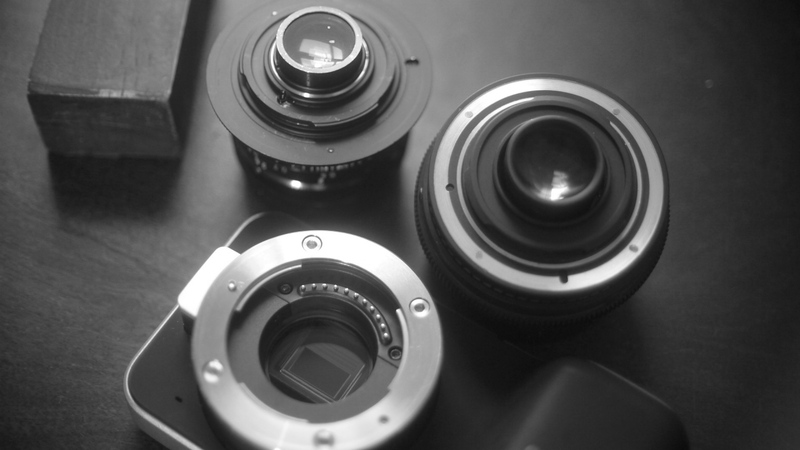 cine-style legacy lenses for modern sensors and system mounts.